Batman! The Legion! Universo! Egghead! More Easter eggs than even Egghead could throw at you! Ah, and here we are, citizens. 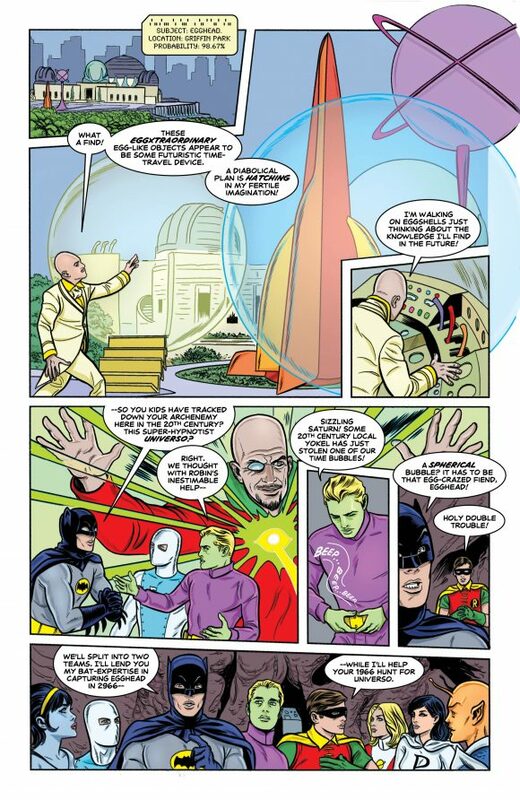 The last Batman ’66 comic — at least for now. 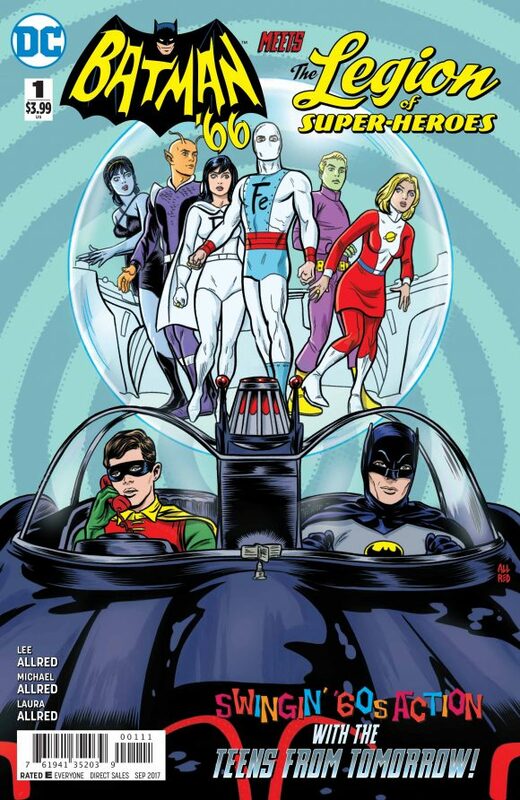 This one-shot by the groovy Allred clan — the fine folks who brought you Batman ’66 #30, the comics series’ high-point — hits print 7/19. 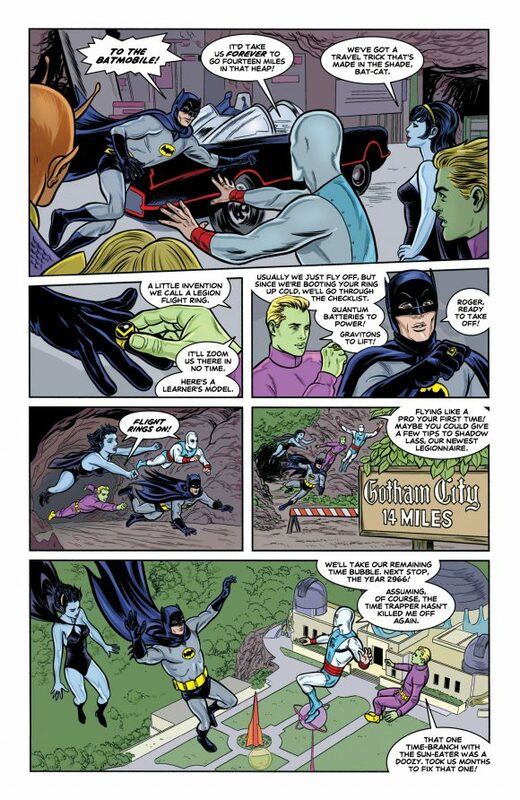 Now, is this the last Batman ’66 comic we’re getting. Mayyyyybe? Or mayyyyybe not. We keep hearing that the Batelves are monkeying around with ideas. So time will tell. 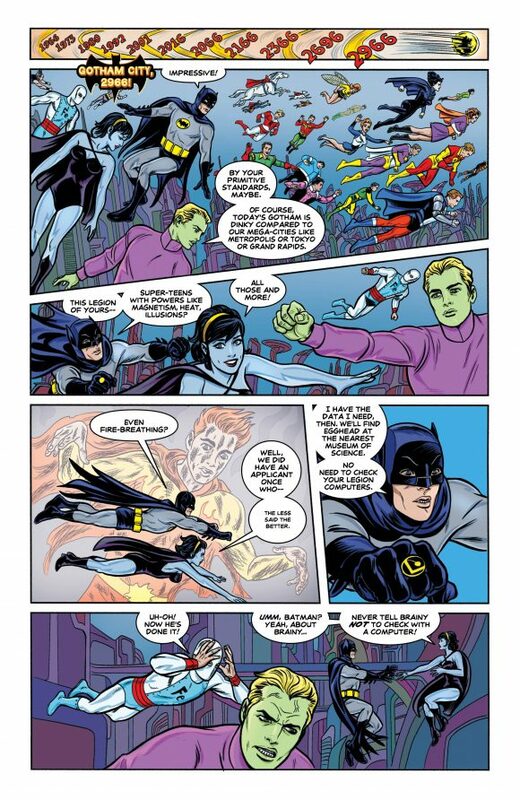 In the meantime, dig this EXCLUSIVE PREVIEW of the print edition of the digital-first Batman ’66 Meets the Legion of Super-Heroes. Oh, and for a look at some of those Easter eggs I mentioned, click here. 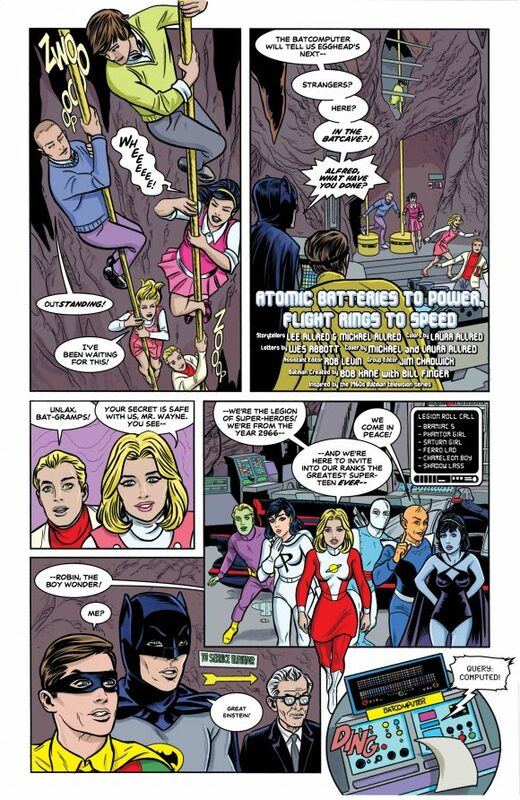 Shadow Lass joined the Legion in Adventure Comics #365, while Ferro Lad had already perished battling the Sun Eater in Adventure Comics #353. What gives? It’s obviously a different continuity than the Silver Age comics. Just think of it as the team line-up for a TV version of the Legion. I remember from the old comics, he had join the Fatal Five. What happen next to Batman and LSH? 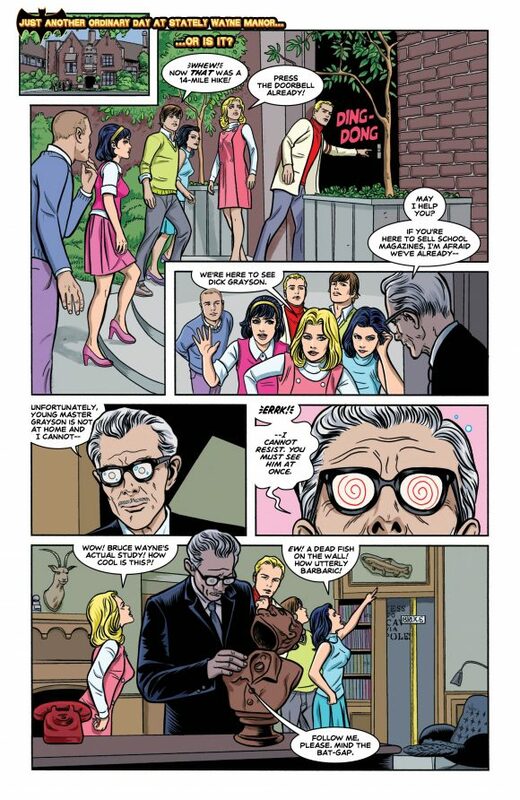 Yeah mentioning that divergent time-branch was a clue this is a parallel time-line to the mainstream one in Adventure Comics of the mid-60s. Didn’t catch that. “That one time-branch with the Sun-Eater was a doozy. Took us months to fix that one.” Either I love this (the legion’s ability to replay scenarios to the best possible outcome), or I hate it. Jury’s out, mind’s blown.